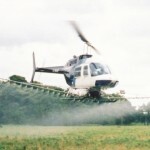 Lime Spreading in upland areas is undertaken to reduce soil acidity. This can have the benefit of improving stream biodiversity, and in water catchment areas can reduce the level of free aluminium (Al3) which is suspected of being a causal factor of Alzheimer Disease. It is also of benefit in aiding the control of bracken. Although bracken is capable of growing almost anywhere, and can thrive in acid soils, many of the indigenous species it competes against fair badly in comparison when subjected to the typically low soil PH values. Soil acidity increased considerably during the latter part of the 19th century and the first half of the 20th century; this is thought to be caused by “fall-out” (in the form of acid rain) due to intense industrial activity that was prevalent throughout that period. Naturally, the worst effect of this was to be witnessed in the high rainfall areas of the uplands where pH levels of 4.2 – 3.9 are not uncommon; indeed numerous mountain streams in the Welsh uplands support little or no aquatic life due to this phenomenon (although this situation is said to be improving – possibly due to a reduction in the more polluting industrial activities). If the pH of the more acidic upland soils, where bracken infestations had been cleared, could be raised to the less acid levels of 5.5 – 5.8 (by means of judicious application of lime), many indigenous species (including herbage) would tend to become more prolific, and therefore better able to compete against any surviving bracken. The terrain limitations/problems applicable to bracken spraying will of course apply equally to lime spreading. 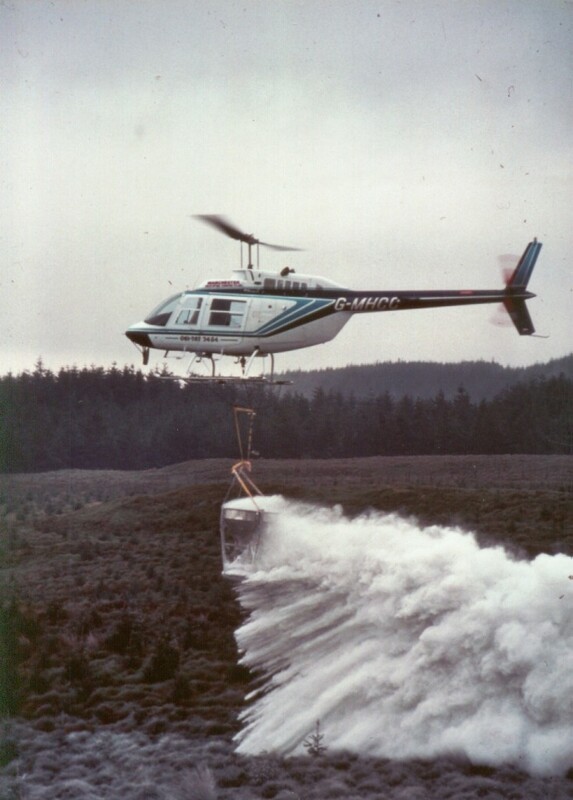 There was a time when it seemed to us that aerial lime spreading was set to provide a most useful follow-up procedure associated with bracken control programmes, and M D Air Services invested time and money in developing helicopter mounted lime spreading devices. However, this work has since tended to lose favour due to environmental and economic considerations (current aerial spreading cost approx. £90 – £100 per tonne for a 200 tonne job plus cost of the lime). 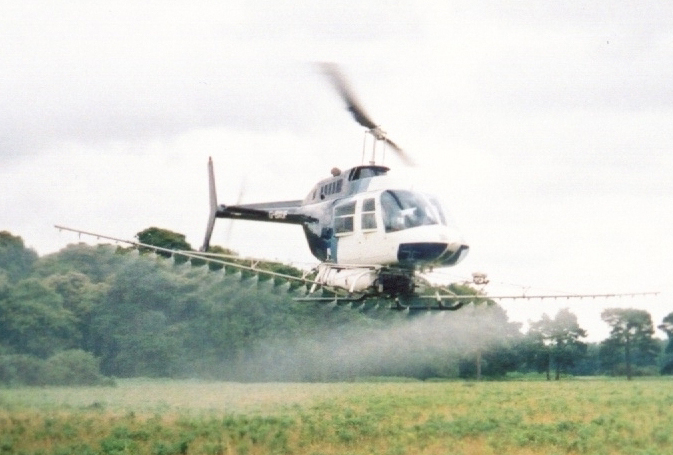 The Result of the Aerial Lime Spreading Demonstration by M D Air Services at Pwllpeiran M.A.F.F. Farm – 1990, note the evenness of cover. An alternative to lime application might be application of a rock phosphate based fertiliser which does have a small acid neutralising effect as well as stimulating root growth of pasture herbage. 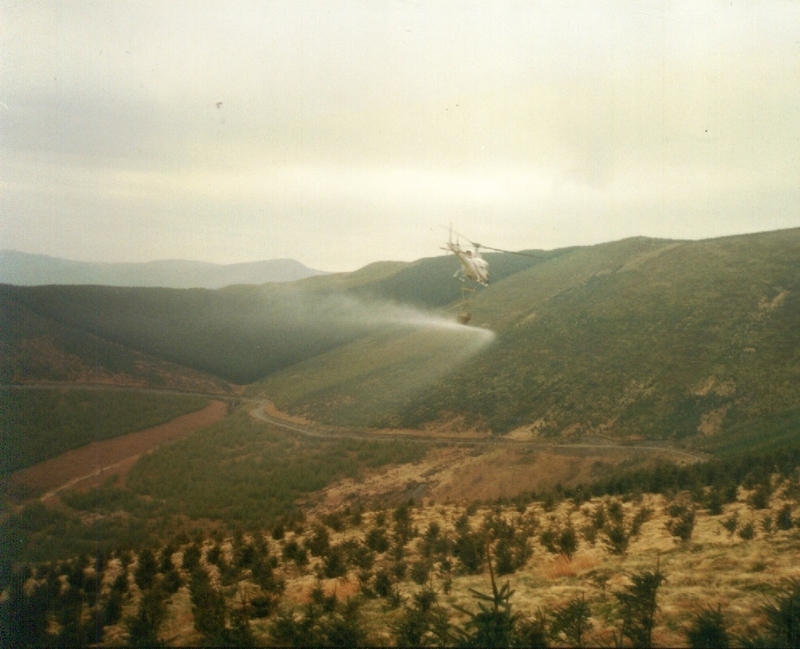 Aerial fertiliser spreading in progress (forestry and mountain pasture). 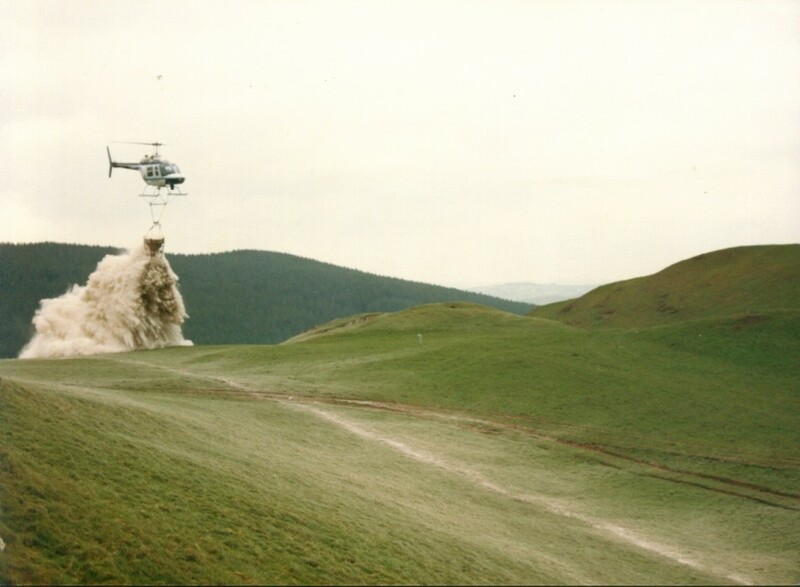 Perhaps when food security becomes a more serious issue, aerial application of lime and fertiliser, as part of upland grazing management, could well be given a higher priority!